Dwyane Wade is upping the ante with the lower body. Not his workouts, though his lower-half is responsible for his quick-speed and high-vertical, but fashion; particularly, the feet. Mr. Wade, who is currently partnered with Li-Ning Company Limited (a Chinese sportswear brand) to craft his Way of Wade sneaker line, recently released the “25 Year Anniversary” colorway (in honor of Li-Ning) which feature “D Wade” on the toe. According to Wade’s Instagram, “Silver was the chosen color” for the limited release, which retail for $190. The silver and red mid-tops are available at www.wayofwade.com. To accessorize these Kicks, pick up Wade’s latest offerings with Stance Socks, he’s been working with the brand for a couple of years now, and sales have been going strong since. 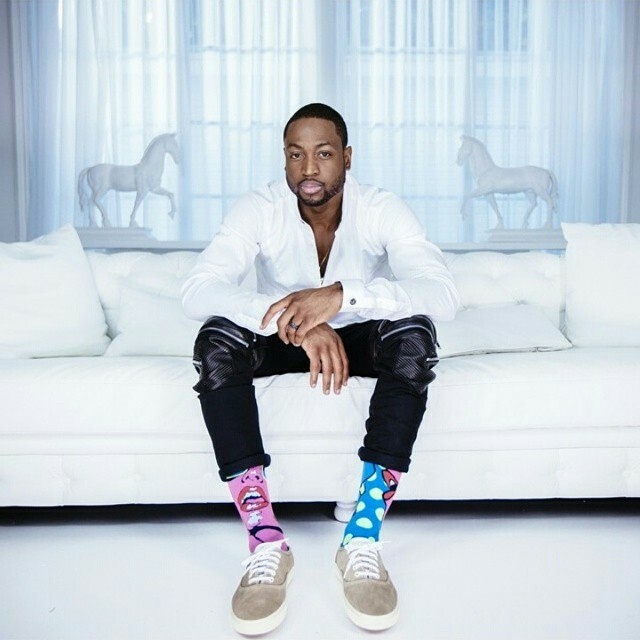 In fact, it may be safe to credit Wade with the current funky-socks craze. When Stance VP Clarke Miyasaki saw Wade’s first design which included checkboards, cheetah print, and a surfer, he was skeptical, though Wade said “Trust me”, and the advice seems to be working. Stance has dropped a ton of new designs this past week (trippy patterns and color-combos, check), and the Heat guard is offering a lucky fan a chance to meet him when you post a photo in your pair of Stance. They range between $14 and $16 a pair at www.stance.com.